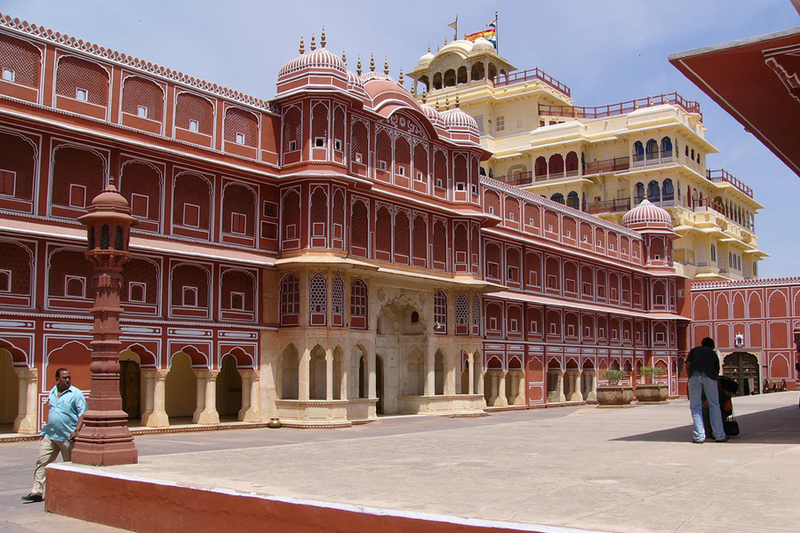 Pink City of India- Jaipur is one of the most important component of India’s Golden Triangle along with Agra and Delhi. This is one of the oldest and first planned city in India that has various heritage buildings, temples, forts, palaces and much more. Due to this reason, we are offering this Jaipur Travel Guide that will give you all round information about the major tourist attractions. Have a look at the below mentioned famous tourist places in Jaipur or places to visit in Jaipur that are must see places and form an integral part of Jaipur Tourism. 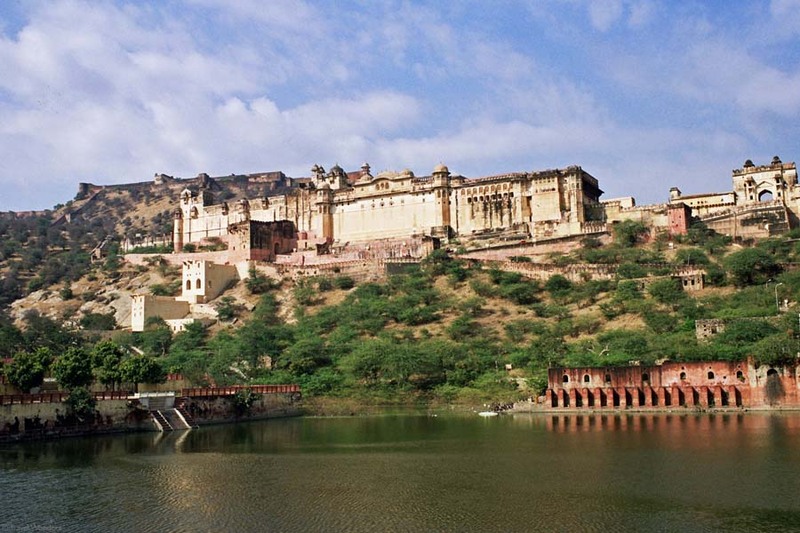 Amer Palace is also called as Amber Fort, which is located 11 km away from Jaipur on a hill overlooking Maota Lake. It was built in the 16th century by Raja Man Singh I and has artistic style based on the Hindu culture. You can also enjoy elephant ride on your climb towards Amber Fort to get panoramic view of the whole Jaipur city. If you are planning a trip to Jaipur then visiting Amber Fort is a must and cherish these moments for all the years to come. 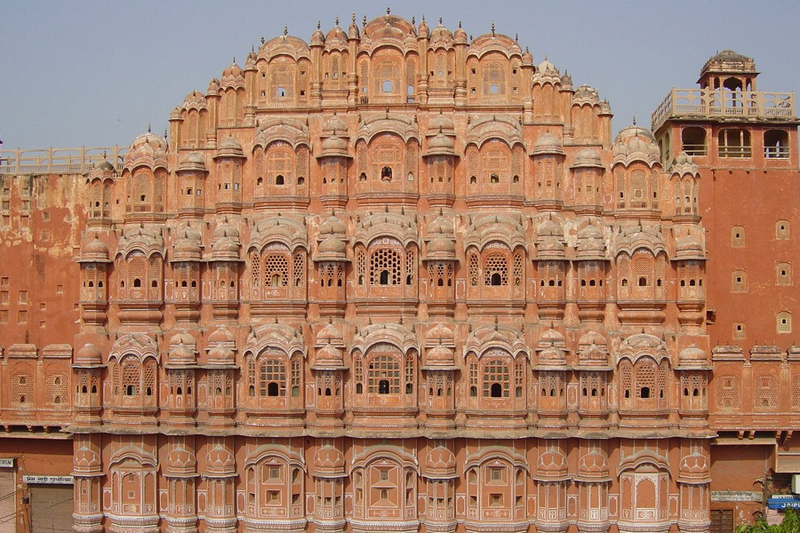 Hawa Mahal is prominently called as “Palace of Winds” that was constructed by Maharaja Sawai Pratap Singh in the year 1799. This glorious monument is made up of Red & pink sandstone and has a beehive type unique 5-storey exterior with small portholes. Each of these portholes have domes, finials, carved sandstone grills and miniature windows. If you are planning a trip to Jaipur then visiting Hawa Mahal is a must and cherish these moments for all the years to come. City Palace is a very famous palace complex that includes various palaces named as Chandra Mahal, Mubarak Mahal and many more. This palace was constructed between 1729 and 1732, initiated by emperor Sawai Jai Singh II and later was completed by the successors. It is located in the heart of Jaipur city and visiting this monument is a must to cherish these moments for all the years to come. 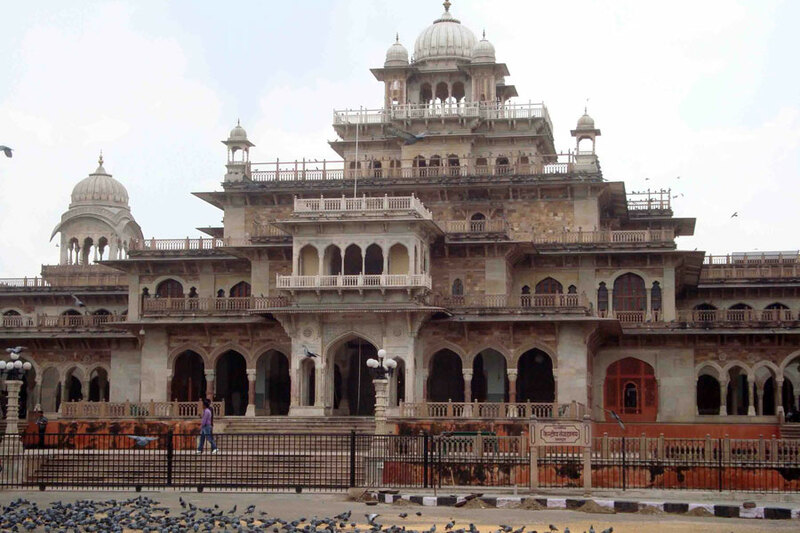 Albert Hall Museum is considered as the oldest museum in desert state of India- Rajasthan. This is located in Ram Niwas Garden and has a vast collection of artifacts like colorful crystal works, paintings, metal sculptures, and carpets. This building was opened as public museum in 1887 and designed by Sir Samuel Swinton Jacob. It is considered as the most convenient and appropriate way to reach this city. Jaipur is very-well connected with all the major Indian cities Mumbai, Bangalore, Chennai, Cochin and Hyderabad. It has domestic and international terminal for large number of flights to various destinations on regular basis. Jaipur is very well connected with all the major cities like Mumbai, Bangalore, Kolkata and many more. You can reach this place by taking trains from all the major cities of India. Traveling in train is a wonderful experience and will surely make your trip to Jaipur is perfect in all respect. Jaipur is very well connected with all the major Indian cities and has a vast network of roads. To make your ride comfortable and to visit all the tourist attractions in and around Jaipur, you must hire a car rental service.